A pulled neck muscle is a common description for minor cases of strain affecting the soft tissues of the cervical spinal region. Muscular pulls might also affect ligaments or tendons that attach bones together or attach muscles to bones respectively. A muscular pull is almost always caused, or perceived to be caused, by a strenuous exertion, wherein the patient feels an immediate acute symptomology in the affected area. Less often, pulls might occur without vigorous activity and might be linked to poor posture that is maintained for a long time frame, internalized emotional tension or other possible causation. This self-help patient guide examines the sources of muscular, tendon and ligamentous pulls in the neck, as well as provides guidance on first aid treatment for minor muscular pain syndromes in the neck. Pulls are aptly named because they cause slight gaps in the chains of muscle, ligament or tendon cells, much in the same manner as one would experience a pull in fabric or clothing. In most cases, these minor injuries are diagnosed as neck strain and are not at all serious, although they might be mildly to severely painful for a few days. Muscular strain is an inherent part of building muscle mass. It is only possible to increase muscle strength and size by inflicting repetitive conservative injury on these tissues in order to promote growth. However, during scenarios involving muscular pulls, the damage inflicted is more than the insignificant tears caused when actually building muscle tissues through fitness activities. The most severe muscular pulls can actually detach muscles from their respective anchors, creating significant injury that might take extended timeframes to heal. A few of these detachment injuries may even require surgical interventions to properly repair and rehabilitate. Although called muscle pulls, a large percentage of these injuries actually spare the muscles and instead inflict trauma to the attaching tissues, called tendons. In virtually all cases of muscular detachment injury, it is the tendon that is wounded and ripped free, rather than the muscle itself. In some cases, a ligament is damaged, instead of a muscle or tendon. These tough connective tissues help to bond bones to one another and are found in several locations in the cervical spine. 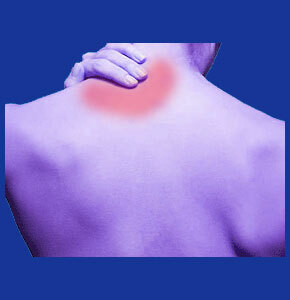 Pulled muscles in the neck can occur due to momentary overloading, overflexion, overextension or general overexertion. Most cases are acute events where the patient is immediately stricken by pain, typically followed by a tight and sore feeling with accompanying severe pain upon movement. Within hours, it is common for the location to stiffen up considerably, possibly resulting in an actual or perceived decreased range of motion, limited by structural issues or by the degree of pain experienced. Some of the more common causes of pulled muscles include heavy lifting, long periods of exhausting labor, general physical fitness activities and any strenuous exertions. Some patients complain of falling asleep in strange positions or staying in static positions for too long, then suffering a pulled muscle as they begin to move again. A minority of patients intelligently correlate feelings of tension and tightness in the muscles to emotional causations and often recall these expressions prior to suffering idiopathic muscle pulls, often from seemingly innocuous activities. It is well known that psychoemotional tension and stresses can create the ideal circumstances for muscle pain to exist and might even lead to actual and documentable injury due to otherwise innocent physical actions. Ice is great for the first 24 hours. Apply 20 minutes on and 40 minutes off as often as possible for the first day after the injury occurs. Heat is perfect to speed recovery after the first 24 hours after the trauma occurs. Heat can be applied using many techniques, but a hot, wet towel is still one of the all-time best home remedies for muscular neck pain concerns. Massage will help to remove waste chemicals in damaged muscle cells. Massage will improve circulation and bring healing elements to areas of injury. 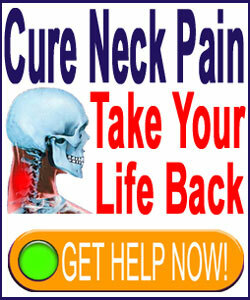 For fresh and painful neck muscle pulls, it is best to utilize gentle massage, rather than deep and vigorous rubbing. OTC drugs can bring relief, but should not be used unless absolutely needed. Pharmaceutical products have risk factors to be considered by all patients. There truly is no such thing as a “harmless little pill”. Staying in bed might seem like a good idea, but often leads to extended durations of pain and stiffness. Most doctors and physical therapists agree that gentle movement will help to rehabilitate muscular pulls much faster than complete immobilization and inactivity. Likewise, wearing a neck brace is often counterproductive, since these devices prevent the very movement that can facilitate faster healing and recuperation.